Writing this book was a long journey. I wrote the first draft all the way back in 2012. I used it in one of the editing courses I completed, filling it full of red pen for months before ripping it all apart, writing three separate outlines before finding the right one. Then it was time to start the real work! I rewrote the entire thing from scratch. Then the red pen came out again. Three years after writing the first word it’s as ready as it’ll ever be. When I wrote this I was going through a hard time. I was applying for job after job and getting nowhere. I had a lot to offer. A lot of tenacity, a lot of dedication and skill. I was frustrated. Once, I applied to a post where I knew someone in the company. They told me they had to stand up for me in order for me to get it. Why? What was so terrible about me that I kept on getting turned down? I was angry. I wanted to prove myself to the world, and at every turn got held back. So I wrote this book. Aleeta has a gift. That gift has the power to do great things. And there’s nothing Aleeta wants more than to do great things with this gift. Sounds simple, right? Sounds like the basis for any good superhero. But life isn’t simple. More often life will look at what you can’t do instead of what you can. It will jump to blame and be slow to reward. And somehow through all that you need to stay open to the possibility that things will change. That the dream you’re holding will come true. Aleeta’s struggle has more guns and missing children than mine did, but looking back a lot of my feelings echoed in her. Along with some of the realizations I came to at the time. In case you missed it, here’s the link again. Coming up soon are lots of short stories and some more books in the Crystal Wolves stories. Here’s the link to the first in that series. Sign up to my mailing list here, and be sure not to miss news of upcoming releases, free review copies of upcoming books, and neat offers. New book release! Damsel Knight complete collection! The complete collection. This is nearly 140 words of story. If you took the time to preorder it, today is the day it arrives on your device. If not, then here’s the link. If you’re not too sure whether to buy it, the first part is free. It’s on amazon here. And in case amazon still haven’t updated it to free, here’s the smashwords link. Try it out and see what you think. As always, happy reading. 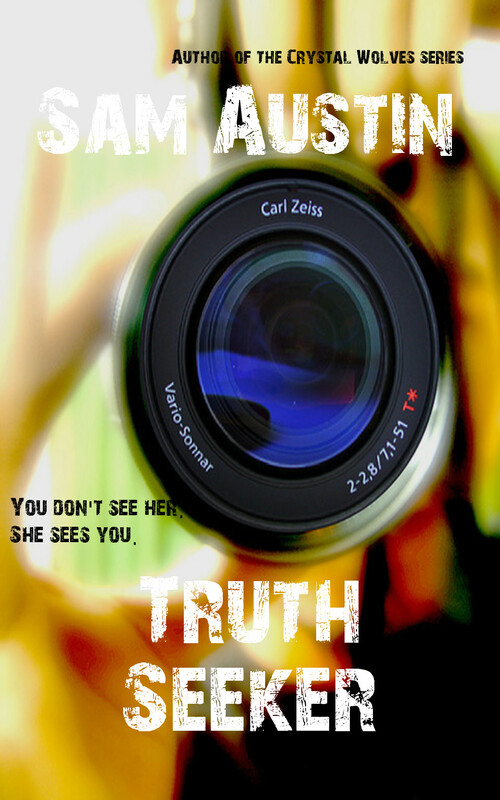 My next book release is Truth Seeker; a crime mystery with a paranormal edge. It comes out in two weeks time on the 18th of December. Or you can preorder it here. Coming up next are some more short stories, and a few more books in my supernatural mystery series ‘Crystal Wolves.’ The first in that series can be found here, or at smashwords. And right now I’m playing with a book series that involves a disgraced soldier, a decades long battle with invading aliens, and a whole bunch of people you’d never bet on to play any part in saving the world. Or that’s the idea so far. I’ll update you as it progresses. New book release! Damsel Knight part 4! The final part! In the final book of this four part 140 thousand word fantasy, we follow Boone as she’s accused of being a woman. If she’s found guilty her sentence will be death, and that’s the least of her troubles. The barbarians have a plan, and when Boone finds out who’s behind it, everything changes. The final part! You can get it here. If you haven’t discovered this story yet, you can find the first part here at amazon, and here at smashwords. The smashwords copy is free, and the amazon one will be once they change it. So you can try out the story before you buy it. And in case you know you want to read the whole thing, here’s that link. The collection comes out in only two weeks! If you didn’t hear about the offer on my mailing list, you can get a free review copy of the complete collection of Damsel Knight right now. Just email samaustinwriter@gmail.com with a link to your review on Damsel Knight part one so I can check you’re a reviewer instead of a hoarder. Then I’ll send you a epub review copy of the collection, or a less pretty pdf if you’d rather read it in that format. To avoid missing out on future opportunities like this one, sign up for my mailing list at: link. In the third part of this four part 140 thousand word fantasy, the barbarians are closer than ever to taking the King’s City. But Boone comes to realise there are enemies lurking within the castle walls as well as beyond them. Guess what guys! The third part of Damsel Knight is out here. 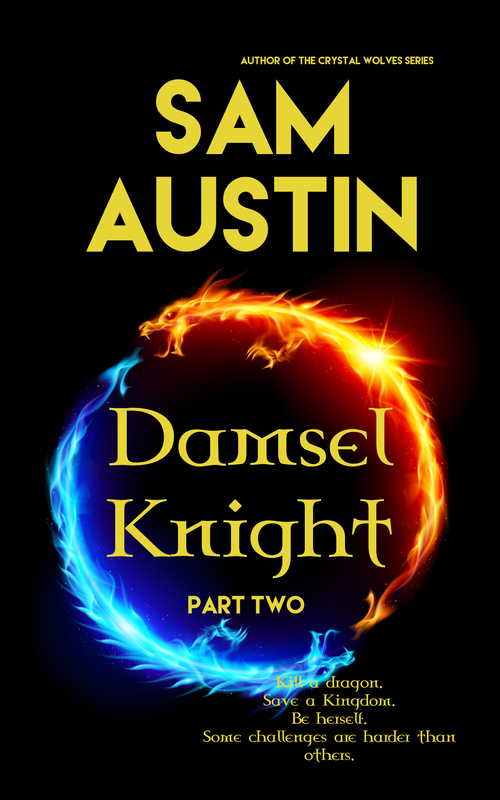 If you’re looking at this wondering what the heck Damsel Knight is, go here: https://samaustinwriter.wordpress.com/2015/10/08/new-book-release-damsel-knight to my post about the first part. The first part is now free at smashwords link. It’s supposed to be free at amazon too link, but they’re taking ages updating that. For those interested in the full collection link, it’ll be available on December the 4th. So in about a months time. You can preorder now and it’ll arrive to your device on the release date. This is the full 136 thousand words of fantasy. A lot of story. Fancy a review copy of the complete Damsel Knight collection before it comes out? Send me a link to your review of any one of the Damsel Knight parts released so far (email = samaustinwriter@gmail.com) so I can check you’re a reviewer instead of a hoarder. In case you missed it above, Damsel Knight part one is free. And I’ll send you a epub review copy of the complete collection. Or if you insist, there’s also a less pretty pdf version. This won’t last forever, so request your review copy quick. If you want to receive details of future review offers and book updates join my mailing list at: link.